Being a parent comes with constant concerns about the environment our children grow up in. Parents worry about their children’s education and making healthy choices. While there are many things in life you cannot predict or prevent, death or disease from tobacco use is not one of them. Despite being one of the most preventable causes of death, each year more than 10,000 Missourians die from tobacco-related illnesses. For some perspective, 10,000 people would fill all seating levels of one end zone at Arrowhead Stadium, and then some. Missouri has the 11th highest smoking rate in the country, with 21 percent of adults and 19.5 percent of high school students smoke. Each year 8,600 Missouri kids start smoking. When I began my term as Chair of the Board of Directors for the Health Forward Foundation in 2010, Missouri received the dubious honor of having the lowest tobacco tax in the nation. Research showed us that increasing the tobacco tax is the single most effective way to stop kids from smoking before they ever start. 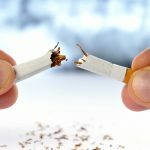 It became our mission to give the people of Missouri an opportunity work with us to eliminate barriers and promote quality health by reducing tobacco use in the state. 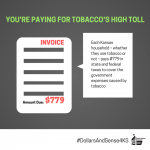 Missouri has the lowest tobacco tax of all 50 states. Proposition B was Missouri’s chance to break one of our worst habits while also providing much-needed funding for Missouri education. By motivating people, especially teenagers, to smoke less or not at all, the increased cigarette tax was projected to stop 22,000 Missourians from dying prematurely over five years. While opponents to Proposition B said this campaign was about a 760 percent tax increase and raised questions about how the money would be spent, at the end of the day, what this campaign was about was saving lives. The voters have decided that increasing the nation’s lowest tobacco tax was not the right solution for Missouri at this time. And while that is disappointing for those who care about the health of our children, we must not give up on the fight to prevent tobacco use in Missouri. Comprehensive, well-funded state programs that prevent kids from smoking and help smokers quit are proven to save lives and money. The U.S. Centers for Disease Control and Prevention (CDC) recommends that Missouri spend $73 million a year. In 2011, it spent $60,000 — that’s 0.1 percent of the CDC recommendation. Only five states spent less than Missouri did. Without funds available from Prop B, we must continue to advocate for Missouri to dedicate more money to funding smoking education, cessation or prevention programs. I want to thank all the organizations and individuals who joined us in our effort to reduce tobacco use in Missouri, especially the American Cancer Society, and ask that you continue with us on our journey to provide a brighter future for Missouri’s children.